A friend asked me to build a bike for him for next year, but he didn’t want to spend a lot of money on it. He’s not a close friend, but we’ve known each other for a few years. He’s doing a 4-day fundraising ride in the USA next summer, and his commuter bike, however sturdy, is woefully unsuitable for the ride. As it happens, I’ve been building road bike that may just fit his needs. The original purpose for my bike was to build something—a mechanically sound machine that isn’t terribly expensive—that I can rent out to people via Spinlister, and use the money to fundraise for charity rides that I’m participating in. Now it seems that the bike will serve a slightly different purpose. The bike starts with a steel frame. I bought this frame on Craigslist for a small amount of money. (I actually had a casual discussion with the owner of the frame about being transgender, and what kind of a bike a woman like myself should ride.) 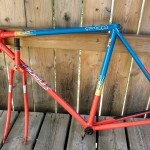 It’s a Steve Bauer Sirocco steel frame from the mid 1990’s. Considering that a used complete 20-year-old Sirocco still costs upwards of $450, I got a great deal. I stripped down all the decal and stickers and sent it to a shop to have it powder coated to a very beautiful off-white colour. 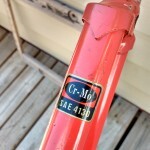 In fact, I spent more money on the powder coating than the frame itself. The next part is to install the components. 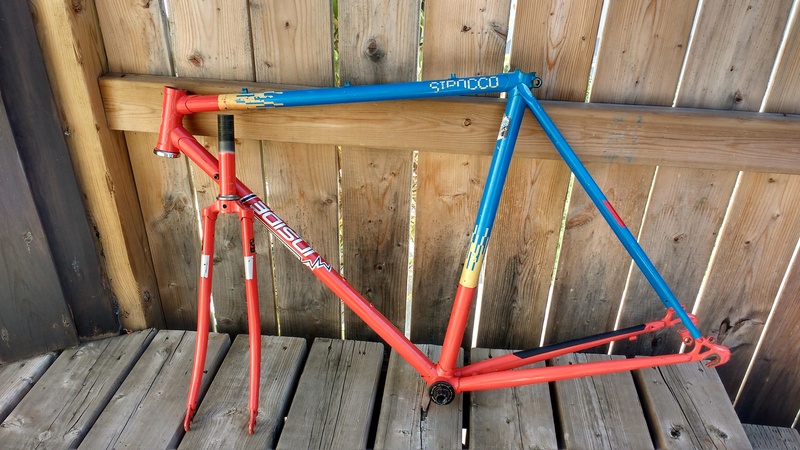 I had two choices: I can either install “original” parts for the Sirocco for an authentic late-1990’s bike, or I can put in newer and more modern parts. To me, the choice is clear. A downtube shifter is perfectly functional, but no one riding modern bikes would prefer using them over integrated shifters. Especially if you have to ride around downtown Toronto. It’s the same with using a 18- or 20-speed drive train over a traditional 10- or 12-speed. So, it’ll have a 18-speed drive drive train using parts that I no longer use after I upgraded my other bike. The parts are still perfectly good; I am just obsessed with upgrades that’s all. The original headset bearings are replaced with sealed bearings. I had no experience with removing headset cups, so I had to take it to BikeChain (a DIY shop at the university), and that itself has been very educational experience for me as well. The ISIS bottom bracket (not original equipment; the last owner upgraded apparently) is also being replaced with a Hollowtech (or similar) bottom bracket. 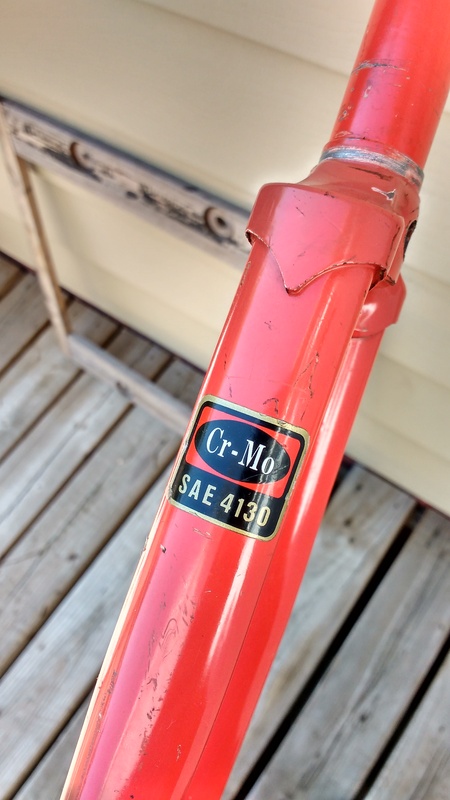 The bike is also getting a new handlebar (my frame didn’t come with it) and saddle, but the stem and seat post will still be original equipment. The frame is powder coated wot an off-white colour, and it will be accent it with yellow and black. I hope it works out. Here’s a photo of the frame after I have mostly stripped down everything. You buy me lunch + $100 for my labour of love. OMG! Hello from Tucson! We should start the international transgender bike association! Hello from Canada! We actually have quite a few girls who are really into cycling here in Toronto too!